(Newser) – Its name was the Human Terrain System, what USA Today labels a "controversial battlefield anthropology program" supposedly shut down by the US Army in 2014 after allegations of racism, sexual harassment, and funny business with time sheets, among other issues. Or so its demise was believed: The initiative—which embedded social scientists with combat units to help them avoid pointless battles and boost local aid efforts, and which cost $725 million since 2007—was apparently never shut down at all, yet the Army seemed content to let it appear as if it were, according to Army files and an anonymous DoD official. 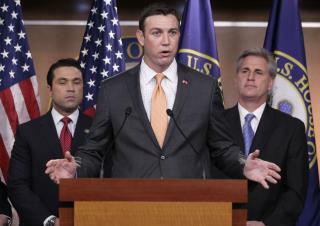 One person outraged about this development: California Rep. Duncan Hunter, a member of the Armed Services Committee who calls the revelation "absolutely astonishing." "Even if … the program was never killed, the Army was happy with members of Congress and the scientific community thinking and believing it was killed," he says. "The Army is evidently OK with taking people for fools." Shouldn't the headline read US military creates gobbling taxpayer virus !!! The country deals with poisoned drinking water and falling bridges while the military buys $200 pencils from their buddies. The USA is being looted by murderous swine while the empire crumbles.